The perfect guide for anyone wanting to learn banjo basics. 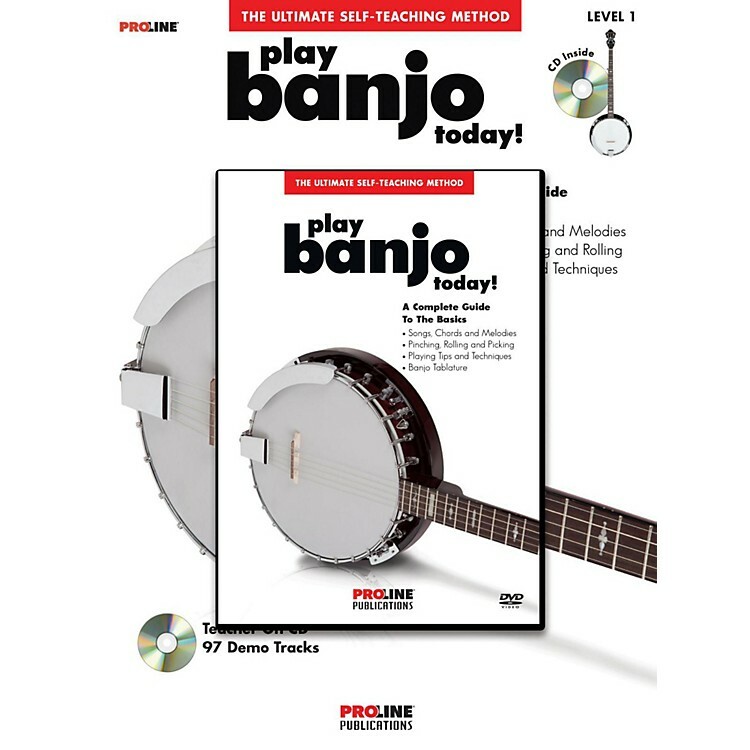 Learn at your own pace and open the door to the world of banjo music with this beginner's book/CD/DVD instruction pack! Play Today! is the ULTIMATE self-teaching method, designed to offer quality instruction and terrific songs. All you have to do is follow along with the tips, lessons and music provided as you listen to the CD or watch the DVD. The book features over 90 great songs with professional quality CD tracks. The DVD features on-screen banjo tablature so you can play all the music examples. This complete guide to the basics covers: songs, chords and melodies • pinching, rolling, and picking • playing tips and techniques • music notation • and much more.